There are times when cargo pockets just aren’t the right attire for the occasion. These pants are constructed with all the easy care features of the original 24-7 Series® pants but without the tactical style cargo pockets. Constructed from durable 6.5oz. 65/35 polyester cotton rip-stop with DWR water repellent coating and incorporating many low profile features that allows you to store your gear. 28 - 54 with unhemmed inseam of 37"
All of the 24-7 Series® pants with a comfort slider waistband run about one size larger. There are times when cargo pockets just aren’t the right attire for the occasion. These pants are constructed with all the easy care features of the original 24-7 Series® pants but without the tactical style cargo pockets. A very comfortable pant. My biggest complaint is that the side zippers on both pockets are very hard to open and even harder to close. Also, I had two pair rip at the seam from the bottom of the zippered front pockets. I squatted down to pick something up and rip. Very disappointed in the performance though great fit and feel. I love the entire Tru-Spec 24/7 line and have used it exclusively in field operations for more than a decade. I recently needed something that offered the same toughness (Teflon coating and ripstop material), but could blend better in a non-tactical environment. 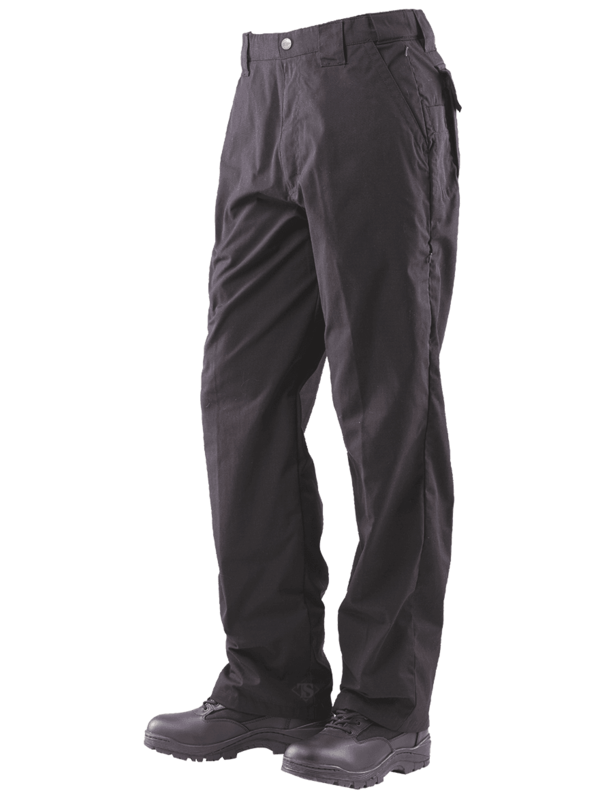 The Classic pants work great for me and offer the covert pockets that have what I need when the work setting moved back into the operational environment. Strongly recommend and can report they are field tested. AS A PAIR OF MORE FINALLY TAILORED TACTICAL PANTS, WITH A MYRIAD OF POCKETS WELL POSITIONED FOR ACCESS AND SECURITY - THEY GO WELL WITH DAY TO DAY ACTIVITIES AND I WOULD WAGER SHOULD THE SHTF......THEY WOULD COVER THE NEED PERFECTLY. These pants are awesome! Great fit and function. Water repellent. Just the right amount of pockets. They blend really well with a blazer for a business casual look, but are durable and strong enough to get busy with. These blend really well in the corporate environment I work in regularly. The hidden pockets are actually useable on these Vs some competitors whose pockets are really too small. If you’re on the fence about these...pull the trigger. Buy these pants!! Very comfortable. The side zippers are next to impossible to operate with one hand. Either the leg pocket or the second pocket. The seam on one pair split right below the pocket zipper when I squatted down. I really love most things about how these pants feel to wear but the drawbacks of the zipper and the seam failure is annoying. The pocket layout is perfect, and I&#39;d buy a lifetime supply in a heartbeat, if not for two things: color selection and material. If there were more colors available and a version of these pants in a canvas material, they&#39;d be flawless. Wish I could give a better review, but the side storage pocket zippers split open and won&#39;t stay zipped. The side seams are a stress area and until a better zipper or closure method is developed, these are useless. Can&#39;t wear them with the pockets continually open. 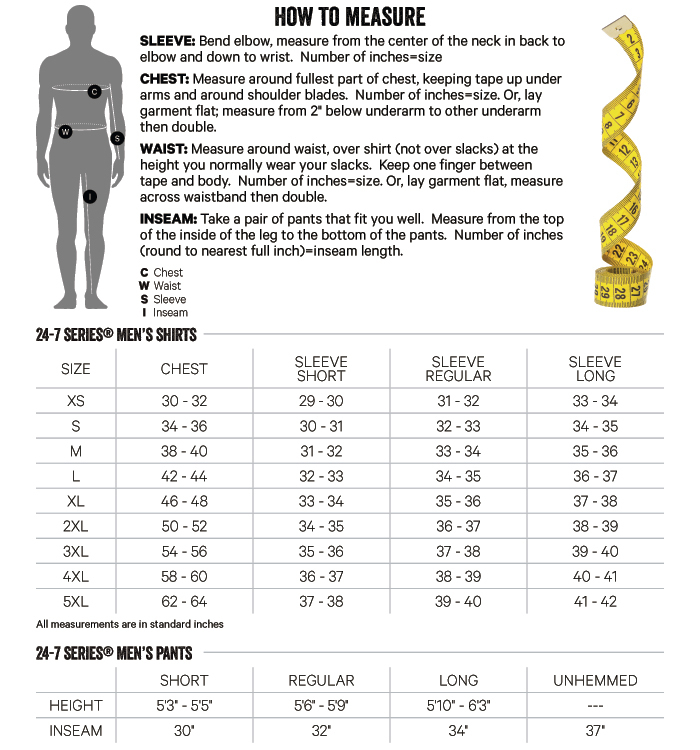 Fabric, cut and fit are otherwise OK. These pants have one of the best pocket configurations for storage I&#39;ve ever seen! I wanted to love these for the following reasons: 1) Two security pockets, one on each side, so you don&#39;t have to become left-handed or right-handed. Great for wallet and other &quot;can&#39;t afford to lose&quot; type items. 2) Two regular pockets in front of those for things you need to get to easily but they&#39;re deep so not easy to lose things. 3) Two &quot;hidden&quot; cargo pockets, one on each side. Perfect for flashlights or keys but could be a little larger. 4) Two small knife pockets on each side (love how it&#39;s on both sides) but they should be about an inch or two deeper 5) Two decent sized rear pockets with hook and loop flaps so nothing falls out. Now for the bad stuff. 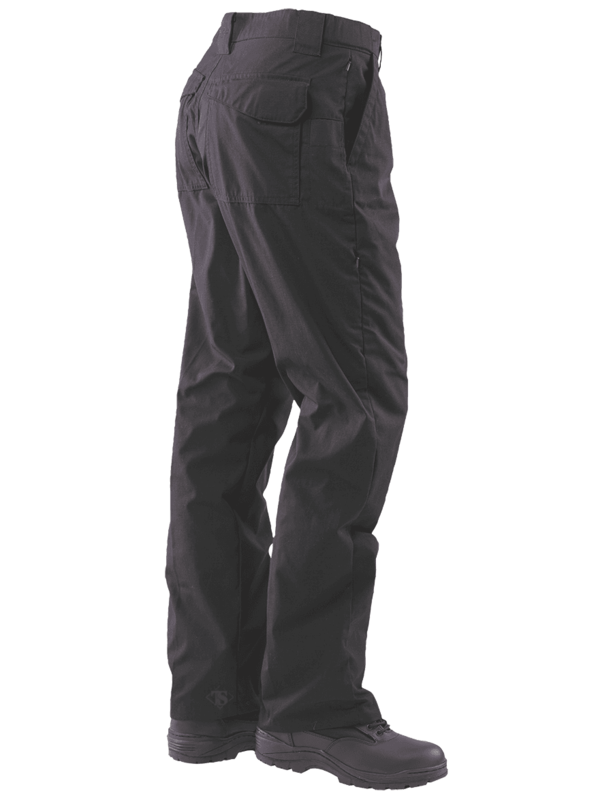 Why would you make ripstop pants with pockets made of a thin gossamer material so gear can rip its way out??? Why not make the whole thing out of ripstop? Certainly not limited by cost at roughly $50 each, which isn&#39;t cheap. They already say &quot;tactical&quot; so most people expect a level of heavy duty and wear &amp; tear. Unfortunately out of 4 pants, 3 have a ripped hidden cargo pocket and the 4th is on it&#39;s way. I&#39;m a teacher. I am on the floor a lot with my students and have to carry a lot in my pockets. These pants are great. Just wish they had a gusset crotch. 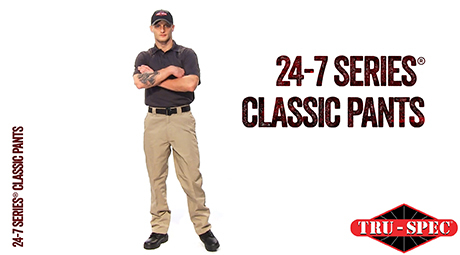 For the same price as a pair of name brand dress khakis, the 24/7 Classic pants give a nice board room look with the functionality of utility cargo pants. My only gripe is that they do not come in the same variety of colors that the 24/7 Original pants (hint hint). These are really nice pants. I bought (3) pair and wear them to work every day. I am able to carry everything I need in a concealed and safe manner. The hidden zipper pockets are a really nice touch along with the expandable waist. There is even a button flap under the zipper which is a really nice addition. I hope TRU-SPEC keeps these pants in their product line for many years to come. These pants are perfect in every way! I’m done with denim and done with traditional dress pants. I don’t think I have ever seen so much thought go into the construction of a pair of pants. Perfectly appropriate for the office, durable for working outdoors, and completely comfortable for recreation. They are easy to launder and can take lots of punishment. You know they won’t break down over time like blue jeans. I would like to see an expansion of the color options though. These are my favorite pants, I own 6 pairs of these; they are extremely comfortable. They are very easy to launder. Just spot treat &amp; wash inside out in cold water, tumble dry low, hang up immediately after drying, no ironing necessary. They have enough pockets to comfortably hold my normal everyday carry gear, but maintain a professional appearance with the 4 hidden cargo pockets. I&#39;ve received multiple complements while wearing these. The only slight drawback of which I can think is that they are not available in your full range of colors, if they were I&#39;d have no pressing reason to own any other tactical pants; I look forward to the day when they are. Thank you for offering such great pants at such a low price point. I Love Tru-spec 24-7 Series Pants. I love everything about them, except one thing... They are baggy, baggy, BAGGY! I look at the pictures in the catalog and see how these pants fit the models and think I could definitely wear these pants. But when I get them, I have to take them to the tailor who charges me $35 to have them altered to be more form-fitting. The pants cost me $33 plus shipping, plus another $35 to have them altered so I&amp;#39;m not walking around in parachite pants. So these pants cost about $65 total. Other than the bagginess, I love these pants. They are better than 5.11s anyday... after I get them back from the tailor. I have gone through untold different pants through the years as an IT worker. I found these and they are really excellent. Subtle enough for office work, tough enough for field work. The symmetrical design of the pockets on both sides is really nice. I wear an insulin pump and the side zipper pockets on both side are perfect for this. Just wish they would offer in other colors (olive, dark brown, etc.). I like these so much I am afraid they will change them or quit making them. Keep them just the same and give us a few more colors for the perfect work pants. I agree with the other reviewers that these are great pants. I own 8 pair: 2 navy and 3 each black and khaki. I would love to see more colors offered, especially a coyote and a grey (not charcoal more of a gun metal grey). There are enough dark colors and khaki is lighter. There need to be some midrange colors. These are my favorite work pants and my wife constantly wants to know when I will get some more colors. Please - more colors.